Not all of us are, alas, artistically inclined. Luckily, we now have robots to help. 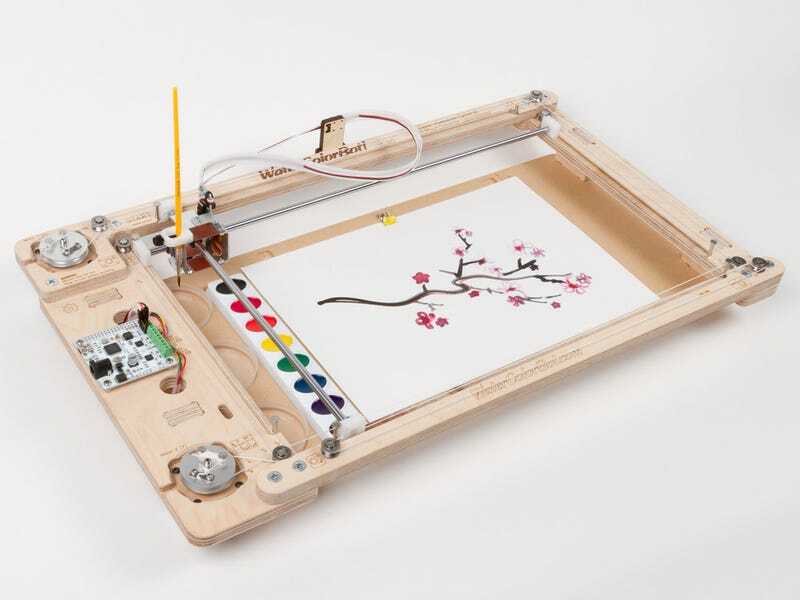 WaterColorBot 2.0 connects right with your computer, turning images on the screen into a bot-painted watercolor on paper. Evil Mad Scientists Laboratories has unveiled the second version of WaterColorBot, now with no assembly required along with a few other upgrades. You just snap a standard watercolor palette into into place, and the bot's arm does the physical work for you. But there's still plenty of room for human artistic input: WaterColorBot connects to a computer, where you can create your own drawings on the screen. Or choose from preloaded vector art—depends on what you're trying to prove.